When You Should Get Worried? 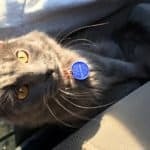 Cat Not Pooping For More Than 48 Hours? Do you often travel with your cat? Then you might often wonder how long can cats hold their poop so that no accident occurs when you are in a car or any other transportation. Well, in this article, I am going to answer that question in details. There is no definite way to say how long can cats hold their poop. It depends on many factors. However, according to a general rule of thumb, a cat passes one or two bowel movement each day. And if everything is normal, the poop should come out comfortably, it should be brownish and well-formed (Sausage like shape) . Is it currently on any medical supplements? All these factors play a rule on determining the time a cat can hold its poop. If you see a sudden change in the normal pooping frequency of your cat, if the poop changes odor, color, consistency or any other thing and if the change persists for more than 48 hours, then it is time to consult with a vet immediately. These changes can be a sign of a serious health issue. So, do not make any delay. Cats don’t like being outside of their comfort zone. When they are in an unfamiliar zone, they start to act unusually. Going on traveling is a completely unfamiliar experience for them. So, get ready to observe some peculiar behavior of your cat. It is normal to see that cats not doing their business for more than 48 hours when traveling. Even if you make frequent stops and give them their litter box, they might refuse to do their business. They don’t want to poop until they feel like they are in a safer and more comfortable environment. See if after reaching the destination your cat poops or not. If she does, then there is no need to worry. However, if she doesn’t, then you might need to go to the vet and see what’s going on. Refusing to poop even after reaching the destination is not generally a good sign. If your cat is not pooping for more than 48 hours, then she might be suffering from constipation. Constipation needs immediate attention otherwise it can turn out to be deadlier. Untreated constipation can soon turn to megacolon or obstipation. If the poop seems to be hard, lumpy or cracked, then it indicates towards constipation. 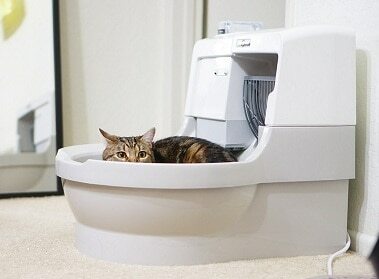 On the other hand, if the poop is watery, then chances are that the cat is suffering from diarrhea. Watery poop indicates that the diet has too much fluid and less amount of fiber. I will not recommend doing anything on your own. 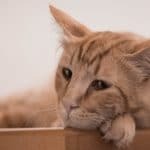 Constipation can be a serious problem for cats and it needs proper veterinary knowledge to be cured. So, I’ll suggest you to visit a vet as early as possible. Also, remember to feed your cat lots of fluid if it is suffering from constipation. Now that you know how long can cats hold their poop, plan your trips accordingly. Even if a cat can hold its poop for 48 hours, I’ll never recommend stretching the ‘not-pooping’ time for that long. If your journey requires a long time on the road, then make frequent stops. 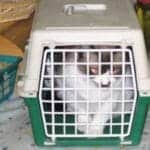 I’ll recommend making stops after every 2-4 hours (depending on the age of your cat) so that the cat can finish its business. Even if the cat refuses to poop/pee at the first couple of stops, you still need to give them the chance to pee/poop after every few hours. Also, stops are good for keeping your cat relaxed, calm as well as stress-free.